The general group chat is a lobby chat room. Within the room, one can private chat with other users. We spent a lot of time to talk to users and understand their pain with respect to private chat design. 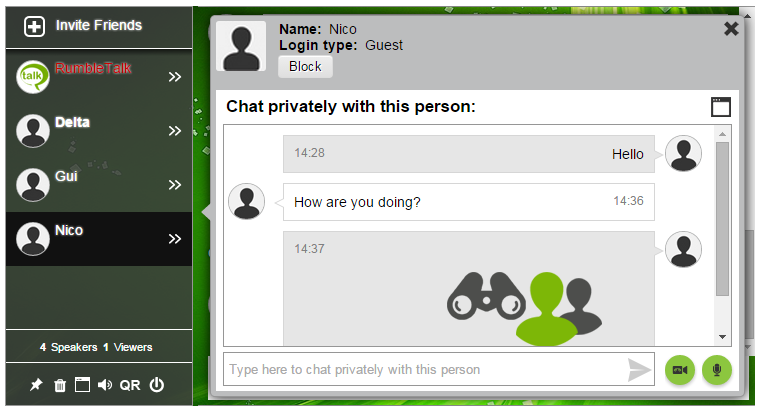 We are happy to introduce a better and intuitive UI for private chat. Messages will be framed as chat bubbles. Each message is framed as a single message. 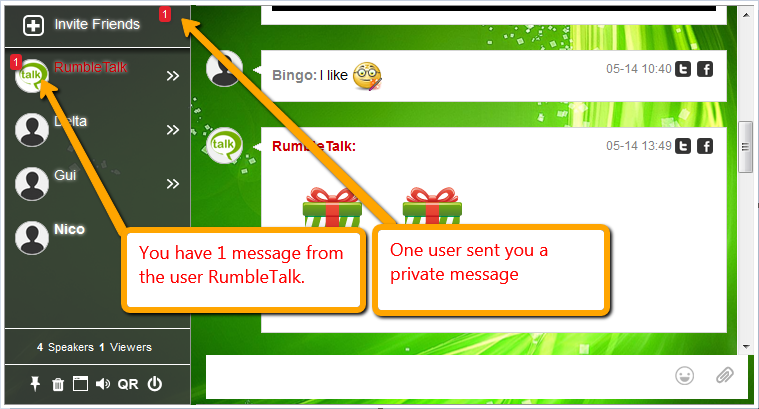 In addition, the user icons will be shown on the right and left sides corresponding to the sender and receiver. Now, this was long requested by chatters. When you’re on a private conversation with a user, and receiving a message from a different user, a red indicator will be shown on the [different] user image that sent the message. This is technical, but it is important to many users. Till now when you refreshed the page the private conversation was cleaned. Now private chat history will be saved locally on your computer until you close the browser (refreshing or closing the chat tab won’t delete the history). Note, we do not store the private conversation and also administrator of the chat cannot see private conversations. Private discussion is kept private. You can now block specific users from sending you private messages. Use the block button on the top of the private chat to stop seeing private messages from a certain user. You may send links, images, youtube videos, etc in a private conversation. *Note, The private messages settings for allowing images, sounds..etc are based on your general settings. Admin users color [username] are red by default. This can be changed using simple CSS rules. The “Invite Friends” button can be easily hidden in the chat settings.